Weekend Preview: Ciara Mageean set for IAAF World Championships… and more! Another weekend is upon us and it’s another busy one. There are no less than seven events on the official Athletics NI calendar – on top of this, there is the prestigious IAAF World Championships in London, the ongoing World Para Junior Championships in Switzerland and the World Mountain Running (Long Distance) Championships in Italy. At least one local athletes will also be in action in Norway, at the famous Tromso Skyrace, which is part of the Skyrunner World Series (Extreme category). Familiar faces will also make the short cross-border trip to Carlingford for the Glenmore 5k! 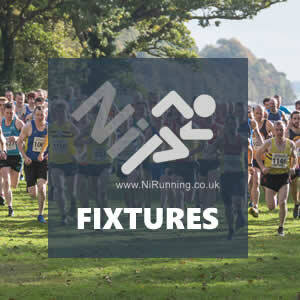 We’ll kick off the weekend preview by looking at the pick of this weekend’s local action, the Sperrin Harriers Stanley Reid Memorial 5 mile Race, then we’ll look at the major events taking place outside NI and list events taking place within Northern Ireland. The weekend action will kick off later tonight (Friday 4th August 2017) in Cookstown, when Sperrin Harriers host their 16th annual Stanley Reid Memorial 5 mile road race. Interestingly, the race was re-named the Stanley Reid Memorial back in 2014 in memory of the first ever race director of the event. Race HQ, including the start and finish will be within the expansive Loughry College. The course itself covers a 5 mile loop and is reasonably fast barring an early hill, and therefore boasts excellent personal best potential. Reigning Champion Mark McKinstry (North Belfast Harriers) could return and will prove hard to beat if he does. Mark was in excellent form on Wednesday night when he sealed victory at the Crawfordsburn 5k trail race in Bangor. The Northern Ireland international could face tough opposition in the form of Gavin Corey (Sperrin Harriers) and unattached athlete Michael Crawley and Vicent McAlister. Last year’s runner up, Pierce McCullagh (Sperrin Harriers), should also be in the mix, while Acorns AC duo Darrell McKee and Eoin Hughes will almost certainly challenge for a podium place. In the ladies race, previous winners Heather Foley (Unattached) and Pauline McGurren (Sperrin Harriers) could go head-to head. Both ladies have the potential to run out victorious; however, if both start, it’s likely that Heather will take the top prize, based on her recent performances in the local triathlon scene. Karen Alexander (Acorns AC) will also contest a podium place, as will the likes of Suzanne Higgins (Lagan Valley AC), Cathy McCourt (Unattached), Emma Rice (Sperrin Harriers) and Tanya Quinn (Sperrin Harriers). Also tonight (Friday 4th August 2017), a large crowd is expected at the Ards Lions 5 mile road race in Newtownards, County Down. The race, which starts at 7pm, should attract several high profile athletes, including the Neill Weir (Willwofield Harriers) and Denise Logue (Ballydrain Harriers). In Ireland tonight, there will be a large Northern Ireland representation at the Glemore 5k road race in Carlingford, Ireland. Paddy Hamilton (Slieve Gullion Runners), Andrew Annett (North Belfast Harriers), John Black (North Belfast Harriers), Esther Dickson (Newry AC) and David O’Flaherty (Newcastle AC) will be chasing prizes. Northern Ireland’s Ciara Mageean (UCD AC) is part of an 11 strong Ireland team who will be in action at the IAAF World Athletics Championships in London (August 4th-13th). Unfortunately, Holywood man Paul Pollock (Annadale Striders / Andrew Hobdell) has been forced to withdraw due to injury. Action gets underway today (Friday 4th August) with Ciara Mageean starting Irish interest in a highly-competitive women’s 1500m. Ciara will line up in Heat 1 at 19:35hrs. A host of local athletes will be part of the Ireland team competing at the Celtic Games at the Morton Stadium, Santry on Saturday 5th August 2017. The team includes a number of local athletes, all selected based on results from the Irish Life Health National Juvenile Track & Field Championships 2017; athletes will compete in their Under 16 and Under 18 age groups against teams from Scotland and Wales. Jade Williams (Shercock AC), Anna McCauley (City of Lisburn AC), Alexander Boyd (Lagan Valley AC), Lauren Roy (City of Lisburn AC), James Kelly (Finn Valley AC), Murphy Miller (North Down AC), Darragh Kirk (Lifford Strabane AC), Roisin Kellagher (Annalee AC), Iarlaith Goulding (St Colman’s AC), Rachel McCann (North Down AC), Cameron Leighton (Ballymena & Antrim AC), Laura Crossan (Finn Valley AC), Aine Corcoran (Shercock AC), Grace Carson (Mid Ulster AC), Caelainn McQuaid (Omagh Harriers) and Sarah McGlynn (Lagan Valley AC) will all be in competition. Northern Ireland’s Eve Dann (North Down AC) and Jack Agnew (Torque Racing) will continue their Para World Athletics Championships over the course of the weekend. The pair have already added to the recent high profile medal haul by local athletes at major Championships (Thursday 3rd August 2017). Yesterday (Thursday 3rd August 2017), Eve secured gold over 200m, while Jack claimed silver in the 400m Wheelchair. Under 18 T36 athlete Eve topped the podium after winning the T35-T38 200m race in 32.04 (1st place). In the Under 20 T51-T54 400m, Jack (T54) finished well to take 2nd place in 52.68. Jack will resume competition today (Friday 4th August 2017), racing in the 800m. Eve will line up in the 100m tomorrow (Saturday 5th August 2017). NI man Ian Bailey (Newcastle AC) will travel as part of the Ireland team competing at the World Mountain Running Associations Long Distance Championships in Italy this weekend (Sunday 6th August 2017). Ian and his team mates will take on the famous Giir di Mont Skyrace, an event which covers 32k with 2,400m of ascent. Further afield on Sunday 6th August 2017, Northern Ireland athlete Jackie Toal (BARF) will compete in one of the world’s most famous races, the Tromso Skyrace, an event organised by well-known athletes Kilian Jornet and Emelie Forsberg. Jackie secured a podium place at the recent Lakes Sky Ultra and should perform well over this tough and technical course, which covers 45k in distance and includes 4,400m of ascent. 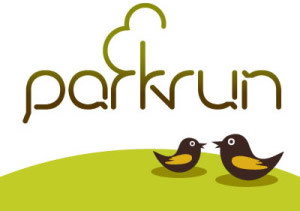 As always, Northern Ireland’s twenty four parkrun events will take place this weekend, for more information on these, or to locate your nearest event, please visit our dedicated ‘parkrun’ section within our fixtures page. Jack Agnew adds to NI medal haul at World Para Athletics Junior Championships! Want to help? Get involved! 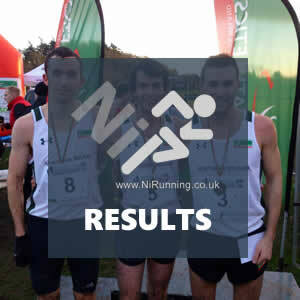 At NiRunning we want to provide as much interesting, up to date and useful information as possible. To achieve this we would like to appeal to all the clubs out there to add us to your email mailing list and send us stories, press releases etc regarding your club. We also enjoy hearing about outstanding performers within your club as well as amazing charity efforts. 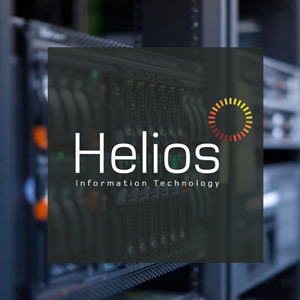 @2017 NI Running - Powered by Helios IT.